Got a Mac, iPad, iPhone or iPod? If you are the owner of an Apple Mac, iPad, iPod touch or iPhone then you might want to tune in to Apple's livestream of its press event later this evening. 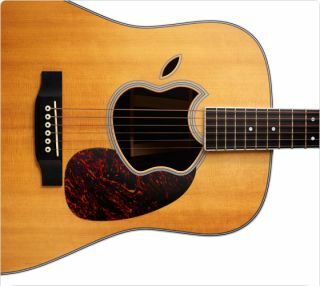 The event starts at 10am PDT (6pm UK time) later today and Apple will be streaming a live video feed to Macs running OS X 10.6 and the Safari Web browser, or on an iPad, an iPhone, or iPod Touch running iOS 3 or higher, according to a media alert posted on Tuesday by Apple. If you don't happen to have any of those devices, but want to know the main news announcements and get some first impressions of the new products announced by Apple then never fear, because we will be bringing you the news as it happens as well as detailed hands on first impressions of any new Apple kit we get to play with. Those with any of the aforementioned Apple devices that want to see the video should head over to Apple.com just before 6pm. Safari only has around 5 per cent of the global browser market right now, compared with 60 per cent for Microsoft Internet Explorer, 22 per cent for Mozilla's Firefox and 7 per cent for Google Chrome. In terms of what we expect to see announced at Apple's presser, it is highly likely that we will see a new iPod touch featuring a camera and Apple's latest retina display, currently only available on the iPhone 4. We should also see a number of new features for iTunes, such as sample clips of tunes that run up to 60 or 90 seconds. Whether or not we will see or hear anything more about rumoured plans for iTunes music or video streaming services remains to be seen. Either way, we'll be there to bring you all the main news announcements just after 6pm later today.